My name is Michael Ohana, and I am a freshmen at Piedmont College in Demorest, GA. I currently play defense on the men’s soccer team. If I had to describe my style of play I would have to say that I try to be an unselfish, but aggressive player. Throughout my soccer career I have mainly worn the Nike Mercurial or adidas F50 cleats. I like both of these shoes because they are really comfortable and offer a lot of explosive response, which is necessary for the position I play. 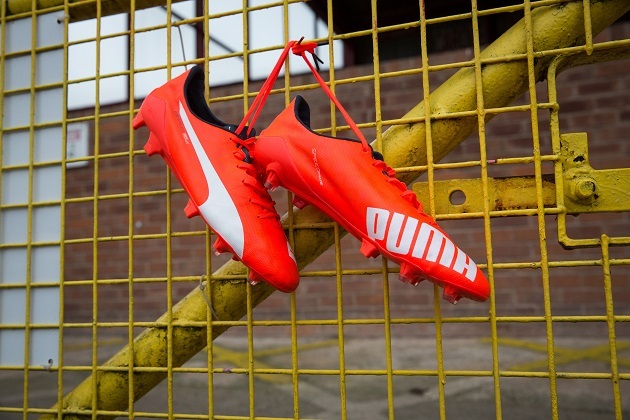 This is the first pair of Puma cleats that I have owned or worn. 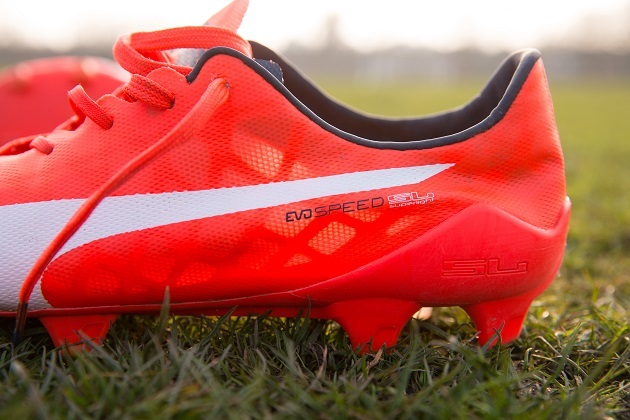 My first impression of the Puma evoSPEED SL was that they were very light. The texture of the upper was extremely thin and very flexible. 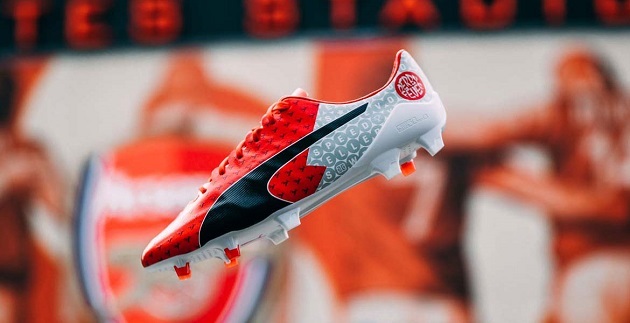 I also noticed that the cleat itself looked very streamlined in comparison to other Puma shoes that I had seen previously. 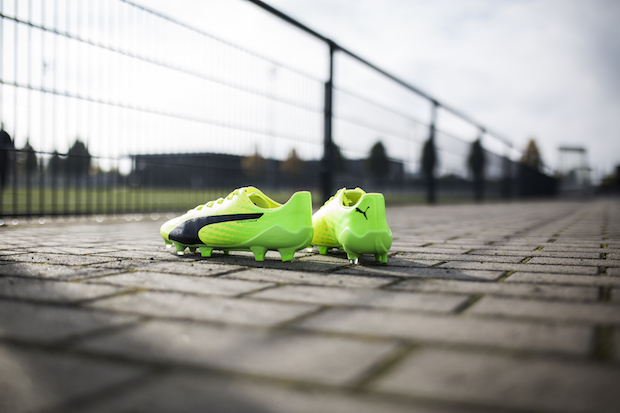 When I wore them in the first game, it did take me some time to get used to how they fit. I would compare their fit to the Nike Mercurial or the adidas F50 adiZero. During the game I could feel the responsiveness of the cleats when I was cutting and my touch on the ball was excellent. Usually when I play, my first touch is with either the outside of my foot or the inside of my foot. In this case, every time I touched the ball I didn’t feel any difference. I was on my feet for quite a while, but I didn’t get any kind of blisters or cuts – definitely a positive. The shoes were not only light, they also fit really tightly to the outside of my foot. That is important to me because I don’t like having space in between my foot and my shoe. The downside of the cleats being very light was that whenever someone took a stab at my foot I definitely felt everything. My teammates did note that the color of the boot was very bright, which, of course, related specifically to my pair of cleats. Since then, new colors have become available and more are likely coming in the future. 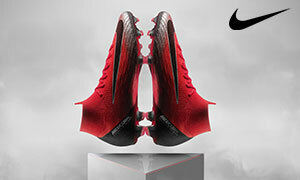 I had told them that the cleats were just as light as the Mercurial, and as soon as I took the shoe off and they were able to feel how light the boot was. They were really amazed and some of them even wanted to perhaps buy them in the future. After I played about 5 full-length exhibition games I did notice that the soleplate was starting to peel from the synthetic upper. This happens with all shoes, so I wasn’t all that concerned, but it could be something to worry about since Puma says that the shoe is only good for about 10 games. Since it was wearing out like that on the second week of full play and practice, I would have to say that Puma’s prediction is probably accurate. The boot isn’t as durable as other cleats I’ve had. In conclusion, unless you want to buy cleats every four months, I would recommend that you look for a different pair of cleats. That said, I personally think that you could make them last longer if you are careful… like making sure that you don’t wear them on concrete when you going to practice and keeping them as moisture-free as possible. 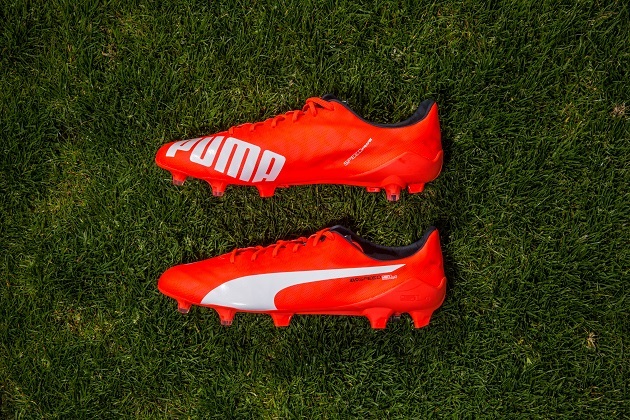 These being the first Puma cleats I have ever put on my feet, I was impressed and would recommend them for a soccer player looking for a light, flexible shoe.